Petroleum engineering is the branch of engineering concerned with the drilling, recovery, production, and distribution of petroleum and natural gas. It includes knowledge of the properties of fluids and rocks in surface and subsurface environments as well as methods of exploiting the economic production of oil and gas from petroleum reservoirs. 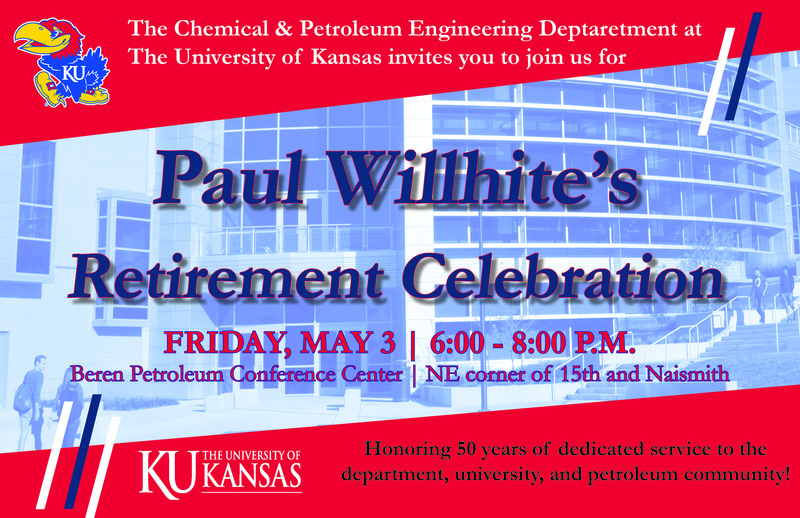 A major subdivision at KU is reservoir engineering, or the development of processes to improve production from oil and gas reservoirs. Reservoir engineers use sophisticated mathematical techniques and computer technology to obtain optimum production. Through such techniques, petroleum engineers continue to extract oil and gas from reservoirs that only a few years ago would have been considered uneconomical. This branch of engineering is somewhat different from the other in that production is far removed from physical observation. The curriculum develops fundamental concepts that describe the properties of fluids and rocks in surface and subsurface environments. These are integrated with courses covering fluid flow in reservoirs along with drilling and production equipment to develop a broad understanding of how fundamental concepts are used to solve technical problems. The development of engineering design concepts begins with the application of fundamental principles and concepts to solve engineering problems in these courses and culminates in a series of senior-level design courses that require comprehensive integration of technical knowledge as well as consideration of economic, environmental, safety, and societal concerns. This experience is essential in the preparation of graduates for entry-level positions.